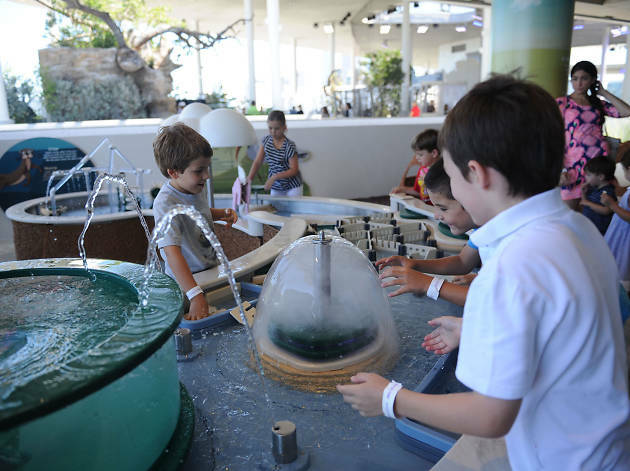 Everything you need to know about visiting Patricia and Phillip Frost Museum of Science, Miami’s premier science facility (1101 NE Biscayne Blvd). 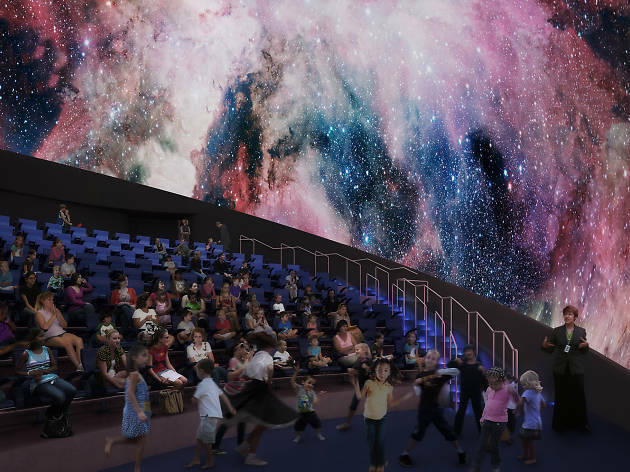 True to its mission, the new 250,000-square-foot museum connects people of all ages with science through a range of inspiring programming—some of which is even bilingual. 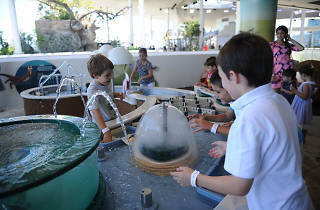 The new Frost Science (an upgrade from its previous Coconut Grove location) occupies four buildings—the Aquarium, the Frost Planetarium and the North and West Wings—features year-round exhibits such as “Feathers to the Stars,” “River of Grass” and “MeLab,” an interactive exhibit that lets kids learn about health by using their own bodies to conduct experiments (think hands-on simulations). 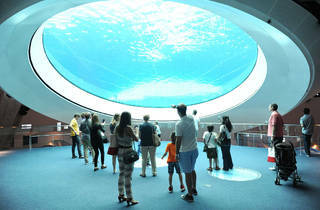 The “Aquarium” is a remarkable display across three levels, one of which includes the museum’s 500,000-gallon Gulf Stream aquarium that houses all sorts of sea creatures. 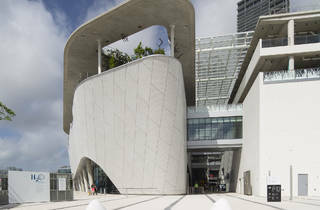 The downtown Miami facility is open 365 days a year and is open to people of all ages. 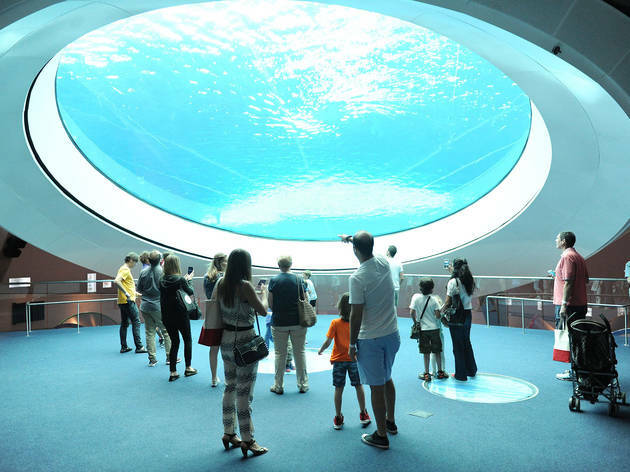 An all-in-one-ticket, which includes museum exhibitions, aquarium, live science demonstrations and one Frost Planetarium show, is $28 for adults and $20 for children 3–11. Children under 2 are free. Available to guests is a free mobile that includes detailed visitor information as well as a scavenger hunt. 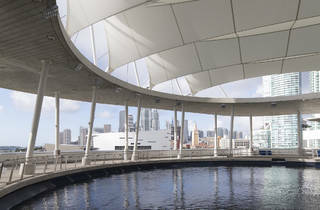 The duration of a typical visit to Frost Science is five hours. 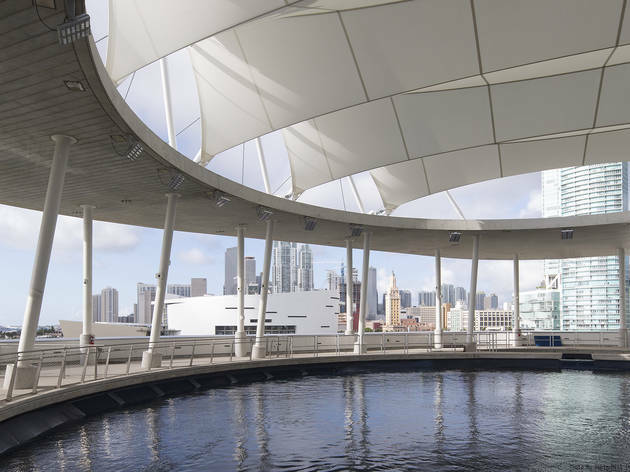 In spring of 2017, Frost Science launched a monthly party series called LATE, offering extended viewing hours, live music and cocktails. 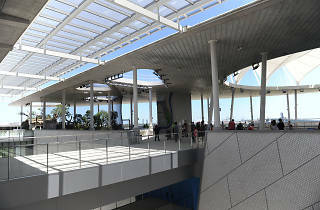 More than a place to drink, the series features interactive installations, panels, lectures and other types of special programming. 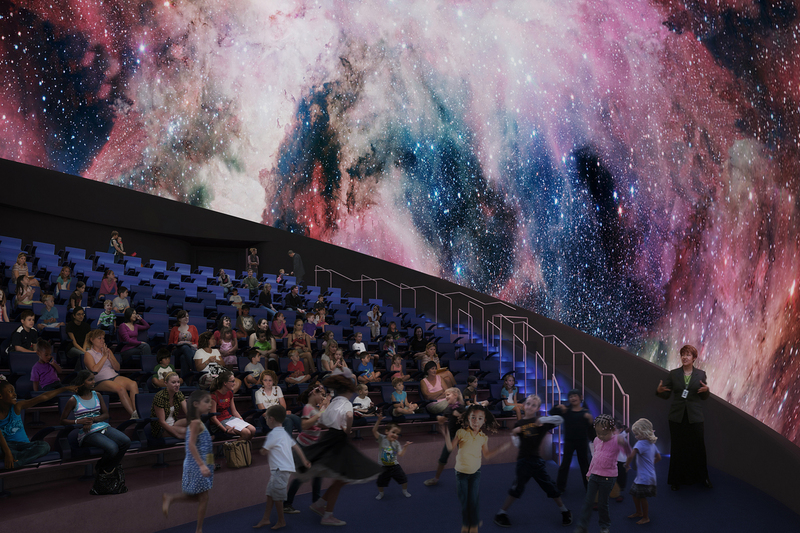 On the last Friday of each month, Frost Science hosts rock ‘n’ rolls laser light shows in its 67-foot planetarium dome, boasting a 360-degree projection screen and an 8K visual system. Underscoring the mesmerizing visuals is music by the likes of Pink Floyd, the Beatles, Jimi Hendrix and Lady Gaga, among others. 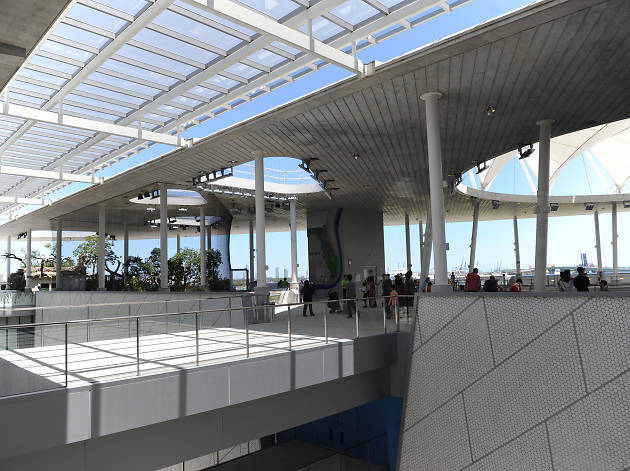 Our Time Out Miami editorial team is constantly updating and reviewing the best attractions, activities and venues across the city, so that you’re always in the know, with the best of Miami at your fingertips. 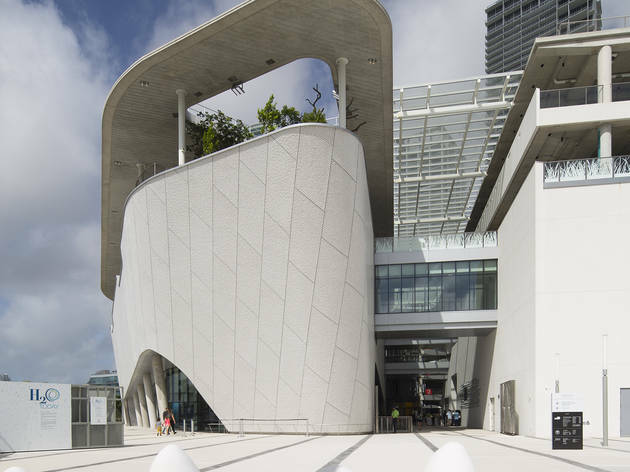 Patricia and Phillip Frost Museum of Science was most recently updated with new tips on June 28, 2017.